Browse Most Popular & Military Original Videos. 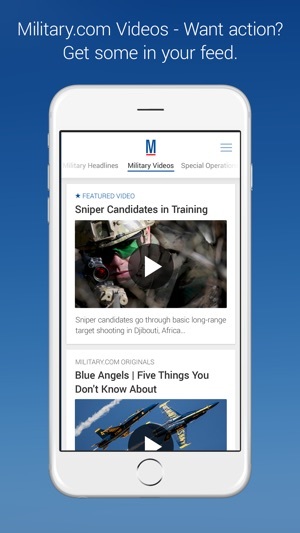 Now add the 'Military Video' feed to your custom news experience to watch the latest military videos. 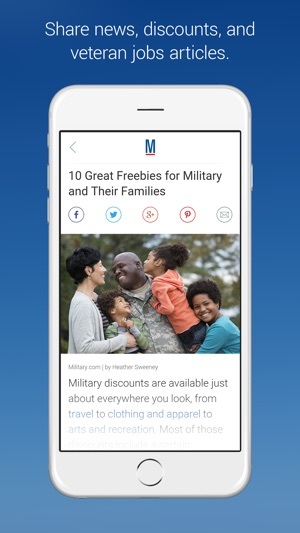 -Search Military discounts in your discounts newsfeed. 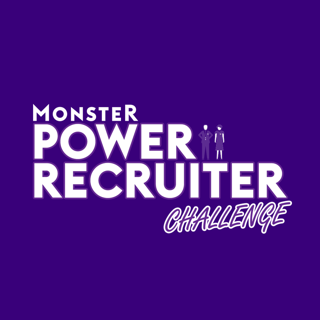 -Browse veteran jobs in your veterans jobs newsfeed. 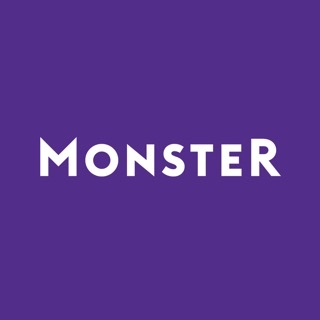 -Save Articles in the app for offline reading. -Featured articles pinned to the top of your “Home” Feed. 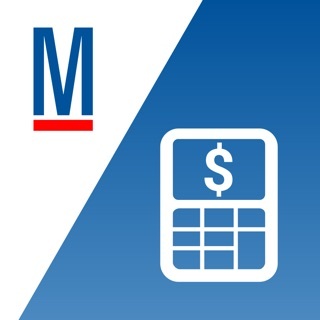 -Menu access to Military.com’s Transition app for military separation and veteran jobs. -Save articles for offline reading by tapping on the bookmark icon on article page. 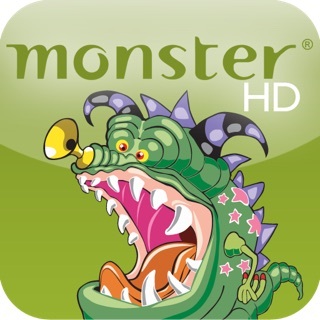 -Have the ability to change notifications in the app settings. 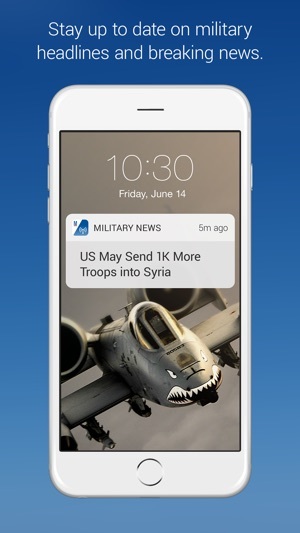 -Register as a Military.com member to login to the Military News app to personalize your news alerts. I have been retired from the Air Force for 37 years and Military News has been keeping me up to date for some time now. After the Air Force I worked on Air Force projects and the rumor mill kept me informed but afterward I relied on Military News. For me, it's mandatory reading as it provides insight on most items of interest to retirees as well as active duty personnel. Well written, easy to read, and timely topics. 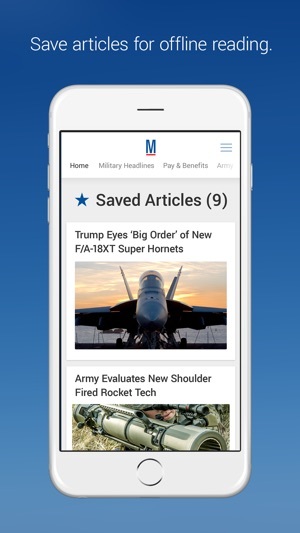 Recommend Military News to anyone interested in Military matters. 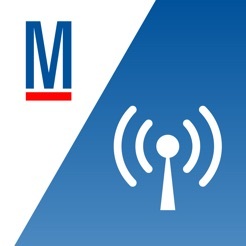 A timely news source that keeps you informed about a underreported part of America. Seems to present both sides of a story without comment one way or the other but is not always successful as the facts it leaves out show it's bias . 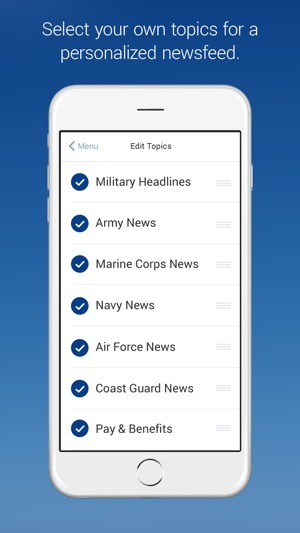 The most Up to date information on current events and tips for making the most of your time in the military, this app has been a huge help for me since my husband joined the army recently.